HR1637- House for rent in Chiangmai Thailand. LOCATION. 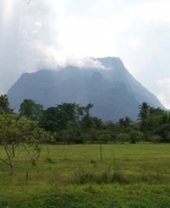 In a private 4 rai natural garden land with several ponds and mountain views, area safe, quiet and green. Between two small rural villages. Huge rice fields around. ACCESS. Direct access to a sealed village/country road with very little traffic. DISTANCE. 3.8 kilometers to Chiang Mai - Doi Saket - Chiang Rai Highway (118), or 14.6 km to Super Highway (11), or 18 km to center (moat) of town. Distance to department stores is 15.4 km (BigC Extra), 15.9 km (Rim Ping), and 17.4 km (Tesco Lotus). Distance to Doi Saket 7 km. LAND. Total land size is over 4 rai, of which most can be used for recreation. Private garden about 200 sqm around the home. Own entrance gate to the property. HOUSE: Built 2006-2007. Bungalow (concrete/bricks, heat-insulated) with detached wooden two-storey pavilion (roof heat-insulated), interior living area 88 sqm, plus exterior roofed area 44 sqm. 2 bedrooms (master bedroom air-conditioned), 1 en-suite bathroom and 1 separate toilet, living and dining room, kitchen (with refrigerator, gas and electric stove, microwave), 1 separate laundry cabinet (with Thai-type washing machine), built-in wardrobe, built-in safe, fully furnished (quality furniture), 4 ceiling fans. GARDEN. 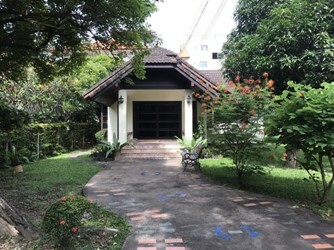 Designed garden between bungalow and pavilion and around, usable size about 200 sqm, terraced towards pond, with many fragrant trees and other plants, shady and sunny terraces. The private garden is not fenced but clearly separated from the large communal garden area, which has one big pond (for boating, fishing, swimming), several small ponds, bridges, pathways, sitting areas, barbeque areas, gazebo. PARKING. Off-road car parking spaces, roofed hut for motorbike(s). INFRASTRUCTURE. Electricity, Internet (WLAN), village tap water with 2,000 liter storage tank and pump, gas tank, ground water with pump for irrigation, gardener s service. CAPACITY. The home is designed for a single person or a couple (standard occupancy), con-veniently suitable for up to 4 persons (2 adults, 2 children, as maximal occupancy). Not suitable for wheel-chair. 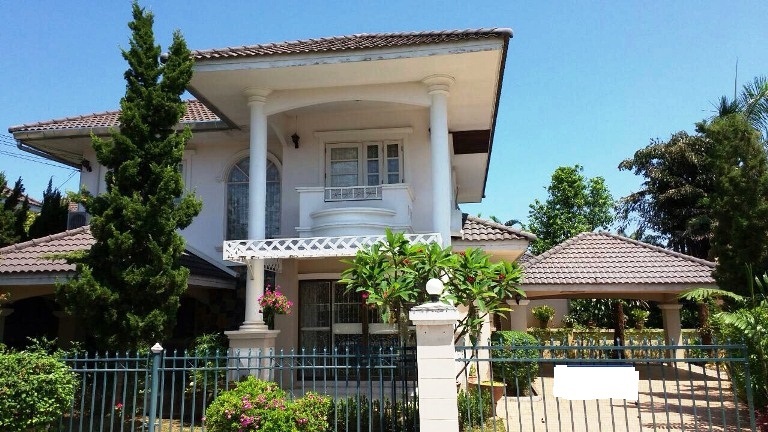 HR1759- House for rent in Chiangmai Thailand. 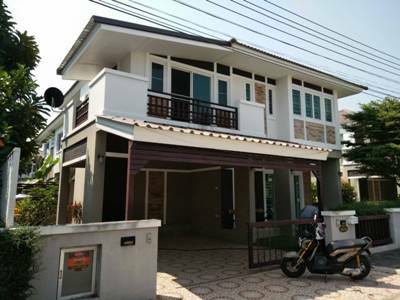 HR1811- House for rent in Chiangmai Thailand. beautiful house for rent in City area. near by Varee Chiangmai School. HR1823- House for rent in Chiangmai Thailand. 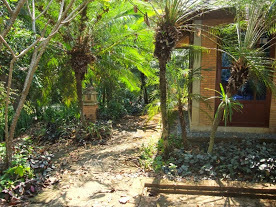 House for rent or Europian with furniture and Land 1 Rai in Sankampang Chiangmai Thailand. -Price for Rent 18,000 bath, Per month. 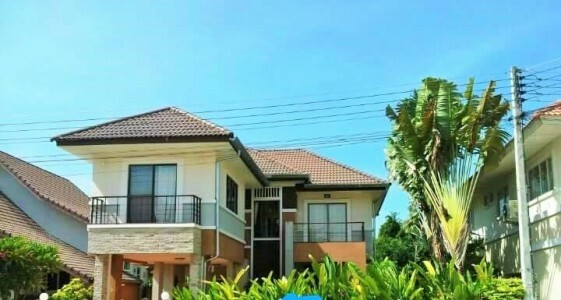 HR1832- House for rent in Chiangmai Thailand. 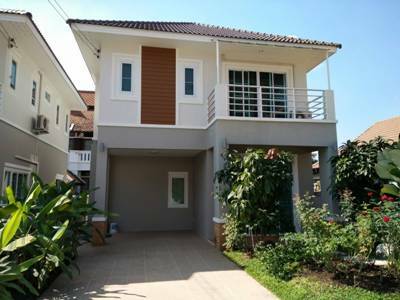 Very beautifull house for rent located in Nongpakhrang , Muang district , Chiangmai. with 4 Bedrooms 2 Bathrooms 1 Living rooms 1 Kitchen Secure, Parking, Hot water. near by transportation and surrounding with Payap University, Makro Chiangmai, Big-C Extra Chiangmai 2, Bangkok Hospital Chiangmai branch, Platinum Chiangmai, Business Park Chiangmai and Index living mall Chiangmai branch General. HR1936- House for rent in Chiangmai Thailand. 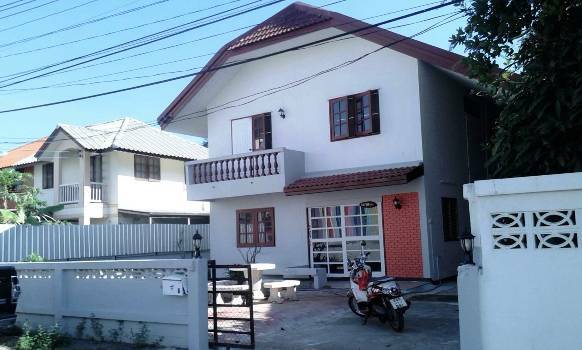 The beautiful house for rent on Sansai , just behind Meeckok plaza. Fully furnished and good location. with nice garden. It is private house, good location. It is only 800m. From the Super Rimping market. 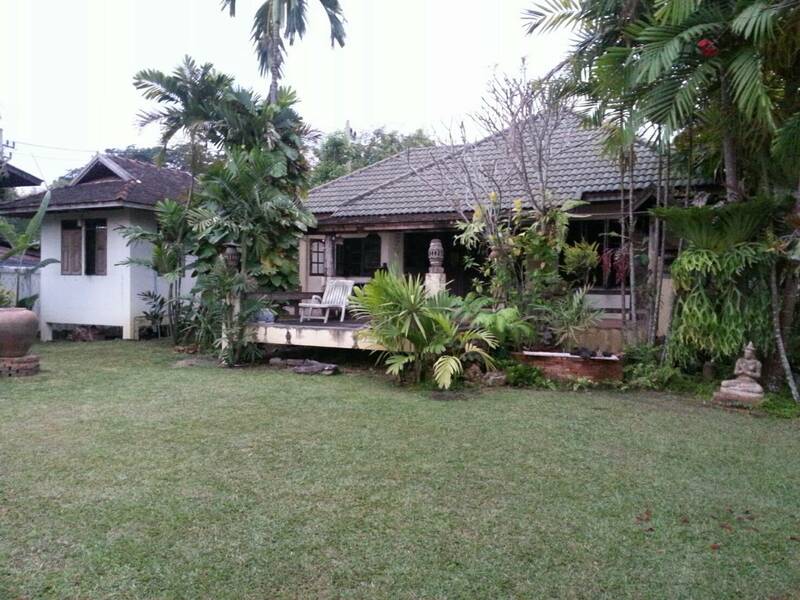 HR1839- House for rent in Chiangmai Thailand. 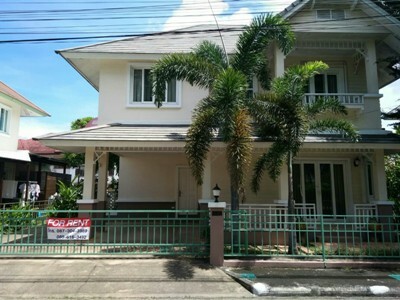 Two-Storey house for rent in Hang Dong, Chiangmai. Lot size 70 Sq.wa., using area 160 Sq.m. 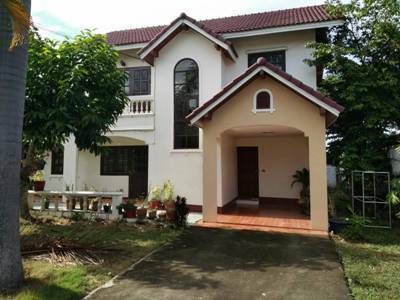 Price for Rent: 18,000 Baht/month, 4 Bedrooms, 3 Bathrooms, 1 Living rooms, 1 Kitchen, Air condition Secure Parking . 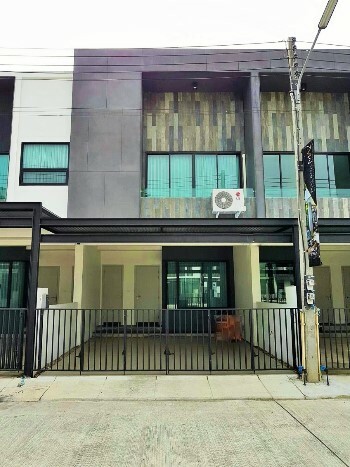 Near by Kad Farang Shopping Plaza and Rim Ping Supermarket, Kad Farang branch 500 m.
HR1853- House for rent in Chiangmai Thailand. with 3 bedroom, 3 bathroom, air, living room and kitchen, fully furnished. , near by shopping mall (Promenada Resort Mall Chiangmai ). HR1865- House for rent in Chiangmai Thailand. House for rent located in an outstanding designed village on Outer Ring Rd ., Sanpuloei, Doi Saket, Chiangmai. The design of house project is tropical with modern style. Fitness, sport club, swimming pool are offered at the clubhouse in a tropical environment surrounded by a green garden and lake with runway where you can bring your family to exercise village. It s take 15 minutes away from Chiangmai International Airport. 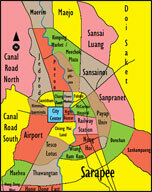 Near Lotus Express, Local Market, 10-15 minutes away from Rajavei hospital and Mccormick hospital. General Features Lot Size: 50 Sq.wa. Price for Sale: 150 Sq.m. Price for Rent: 18,000 Baht/month 3 Bedrooms 3 Bathrooms 1 Living rooms 1 Kitchen Air condition Hot-Water TV Refrigerator or fridge freezer, Parking. 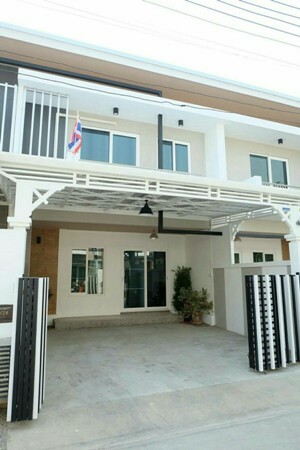 HR1868- House for rent in Chiangmai Thailand. 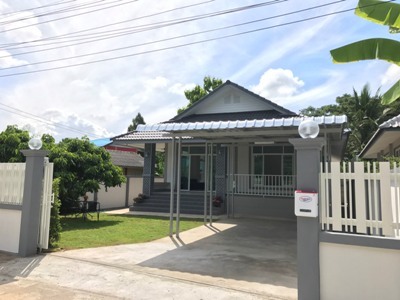 Nice Town House for rent Near airport Chiangmai good quality material.,and Very Easy to get the market and shopping center and airport Plaza. fully furnished. There is fitness and swimming pool. 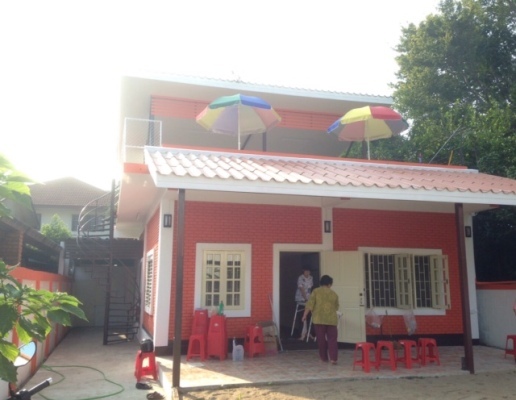 HR1931- House for rent in Chiangmai Thailand. Very baeutiful house for rent with 2 beds,2 baths(1 en-suite to master bedroom, 1 family and guest cloakroom). near by Big C Hang Dong 1, Tesco Lotus Hangdong, Chiangmai Klaimor Hospital, Chiang Mai Provincial Transport Office,Grace International School ( GIS ) American Pacific International School (APIS) Sunshine Kindergarten Khaomao-Khaofang restaurant Mae Hia Food Market Sojo s Coffee Shop. HR2046- House for rent in Chiangmai Thailand. Recent house cottage English style in the project only 7 km from center of Chiang Mai. Close to Meechok Plaza, Rimping market, shopping mall and City House.with 3 sleeping rooms and 3 baths. Good kitchen with all complete equipment and wash machine and refrigerato. Nice green garden plants, behind house close to the canal. House with security in village. 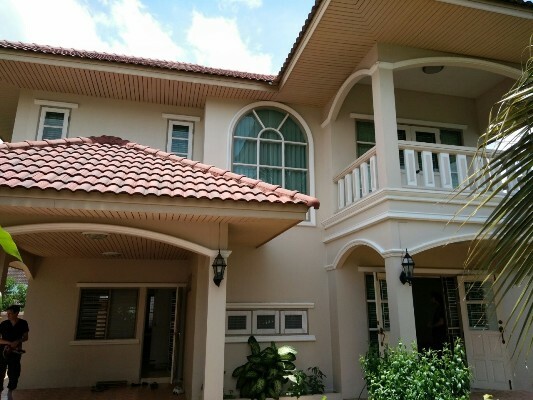 Double storey house for rent located in San Kamphaeng, near Charoen Charoen Market and Promenada Resort Mall. It takes approximately 10 minutes driving to Ruamchok and Mee Chok Plaza, Central Festaval Chiangmai, NIS, Maejo University, and 20 minutes driving to Nimmanhaemin, the Airport and Chiangmai University. There is a washing and drying area.,There is a spacious lawn. The house is open to the open air. Facing the house, getting the wind direction cool. Master bedroom has en suite bathroom with hot shower. (Washbasin, shower), 6ft bed, built in wardrobe, index walk in closet with ironing area. Townhome for rent located on Chiang Mai-Hang Dong road, San Pak Waan sub-district, Hang Dong, Chiang Mai. 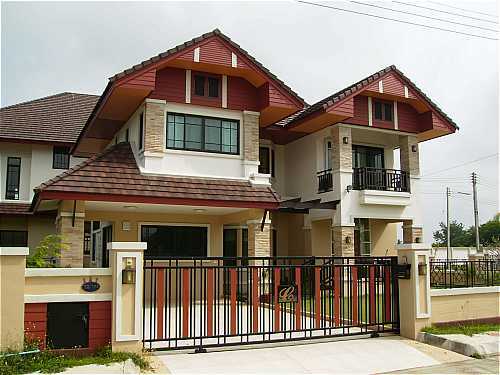 Two-storey 3 bedrooms, 3 bathroom. Fully furnished with 4 air-con. Facilities in this village include swimming pool, fitness and security guard 24 hours.